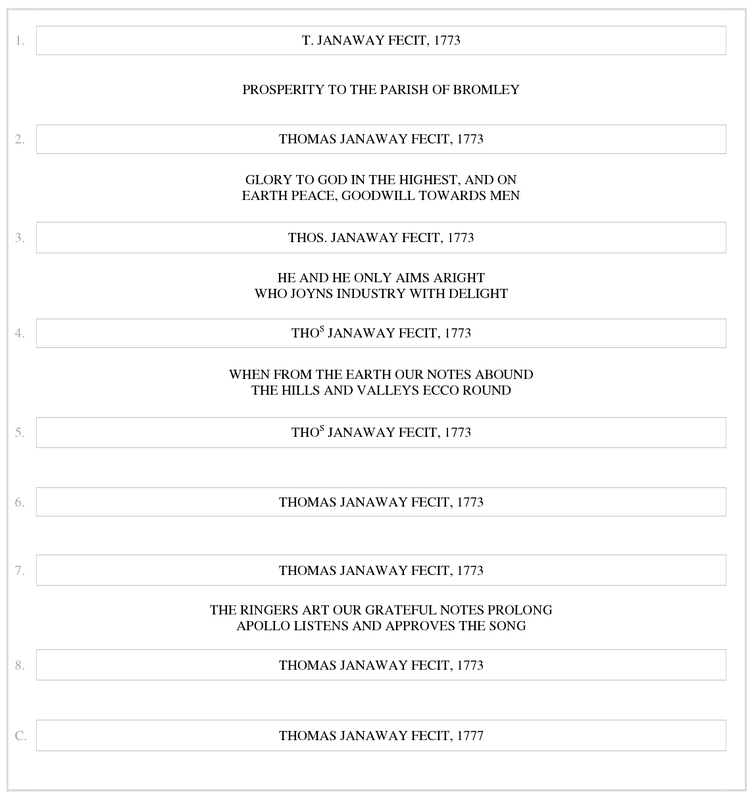 1773 By this time there was a ring of 5 which were recast with 3 bells added to form a ring of 8 by Thomas Janaway. The work cost £250 according to the Parish Vestry Book. 1777 Sanctus bell cast by Thomas Janaway. 1814 A peal was rung which was noted to be the first since the bells were rehung by Mr J Woodling of Whitechapel. 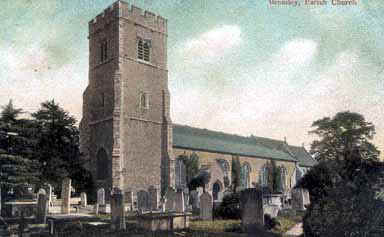 1817 15th Jan A half-muffled peal of Grandsire Triples was rung on the bells by the Society of Bromley Youths in memory of William Chapman, a ringer here for 43 years. This was claimed as "Being the first Dumb Peal of this kind ever rang in this kingdom". 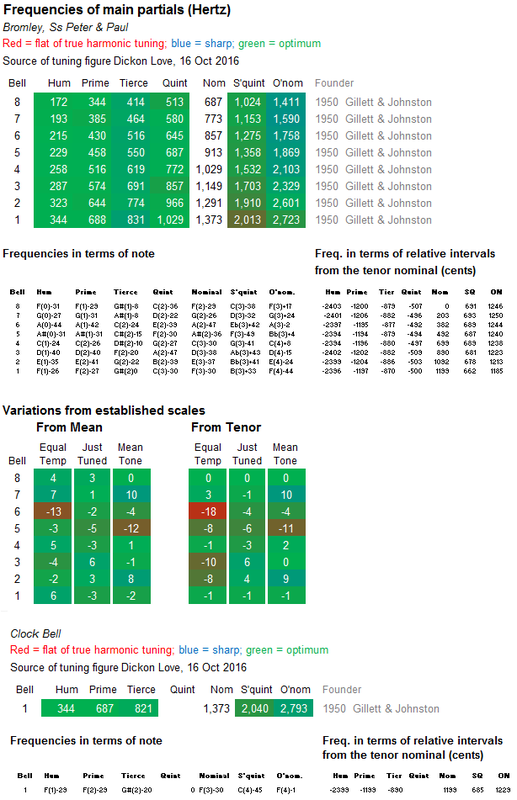 1902 Bells rehung and quarter turned by Gillett & Johnston. 1930 Bells retuned and rehung in a new frame by Mears & Stainbank. 1941 Church bombed in World War II. 1948 -1957 New church built. 1950 New ring of bells and Sanctus cast by Gillett & Johnston. 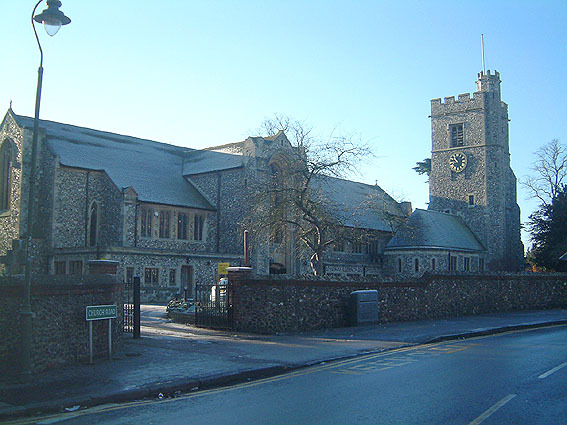 1957 14th Dec. New church consecrated. 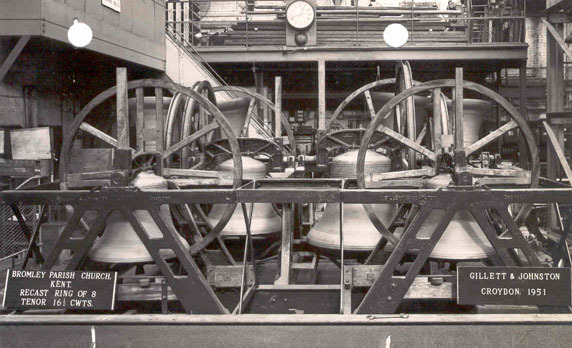 2006 A major overhaul of the bells took place by Whitechapel. 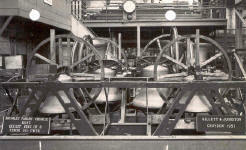 Photo of the bells in Gillett & Johnston's foundry in Croydon.